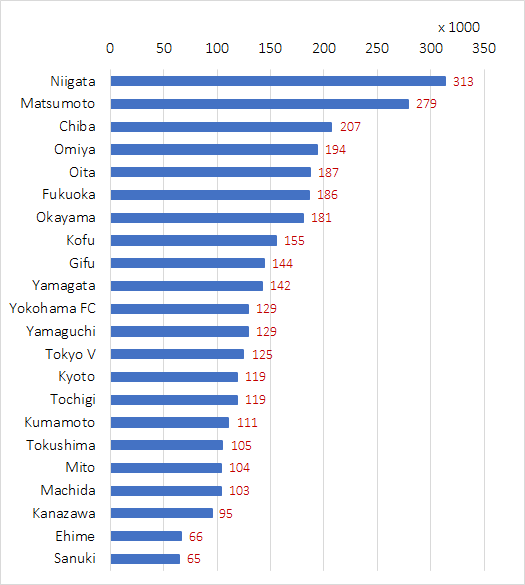 2018 Season Attendance Figures of J.League (J2 division) - How much is it in Tokyo? J. League stands for Japan Professional Football League. It has three divisions, J1, J2, and J3. J2 is the second rank division. The following data show the 2018 season's attendance figures of J2 division. Source is J.League official site.